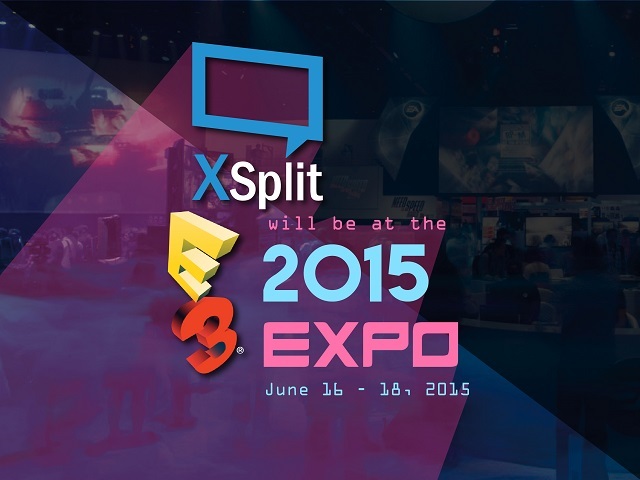 We are heading down to E3 this coming June 16 - 18 2015 and it’s going to be our first time attending the event. We are super excited to co-exhibit with YouTube atBooth 801 to demonstrate their recently announced 60fps live streaming capability and how seamless the integration is with both XSplit Broadcaster and XSplit Gamecaster. We still have plenty to reveal in the coming days so make sure to follow ourTwitterandFacebookto not miss out on them. If you’re at home chilling out but looking to keep yourself updated about the happenings in E3, then be sure to check out the E3 conference party on our Twitch channel at twitch.tv/xsplit where you can watch everything inside the expo, literally making you feel like you're in the event. Not only that, but you also get to participate in our stream party chat where you can win cool goodies such as XSplit t-shirts, lanyards, and licenses! All you need to do is follow and participate in our Twitch chat during the day, tell us what you think, and win these amazing goodies. Obviously there's so much more to look forward to outside of XSplit being at E3, in particular we cannot wait to hear more juicy details about Fallout 4 and Uncharted 4, as well as first footage of the re-imagined Doom, and who knows, maybe even BattleToads? The countdown begins today and we are honored to be part of this prestigious event for the very first time! We can’t wait to see the future along with everyone else!